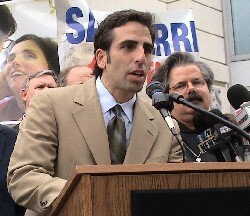 Bobby Schindler, brother of the late Terri Schiavo, has become an advocate for the disabled since her death. He discusses euthanasia and its dangers for the disabled and the rest of society. Bobby Schindler from the Terri Schiavo Life and Hope Network describes his work to help save the disabled from being murdered. Today on The Thundering Legion, I spoke with Mrs. Jeannie Ewing, a writer and mother of daughters Felicity and Sarah. Sarah has Apert’s Syndrome, and we talked about how to help Sarah get medical care.